MGM Resorts is ready to negotiate and settle with victims of the October 1, 2017 Las Vegas shooting. In a Thursday filing to a Las Vegas courtroom, the casino giant requested all litigation be put on hold because its lawyers were scheduling mediation with the victims. 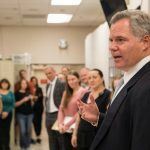 MGM is expected to file similar requests to jurisdictions across the country where 13 damages claims are pending from some 2,000 people who were injured or lost loved ones in the worst mass shooting in US history. The casino giant ignited a public backlash in July when it announced it would sue the victims in a bid to absolve itself from those damages claims, prompting #boycottMGM to trend widely on Twitter. MGM is the owner of the Mandalay Bay on the Las Vegas Strip, from where shooter Stephen Paddock opened fire onto an open air country music concert, killing 58 and injuring over 500. It also owns the land on which the concert was held. The victims’ claims allege the casino giant failed in its “duty of reasonable care” to monitor Paddock’s activity. 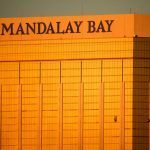 The 64-year-old real estate investor was able to stockpile a cache of high-powered firearms in his hotel suite on the Mandalay Bay’s 32nd floor. 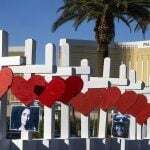 Paddock was also permitted to leave a “do not disturb” sign on the door for three days as he plotted the atrocity. MGM was not seeking damages from the victims when it sued. It was seeking to consolidate all litigation into one federal lawsuit, where it would argue that an obscure terrorism law protected it from liability. The Safety Act is a post 9-11 law that protects a company from liability if it uses anti-terrorism services or technology to “help prevent and respond to mass violence.” The security firm MGM hired for the festival was approved by the Department of Homeland Security (DoS). 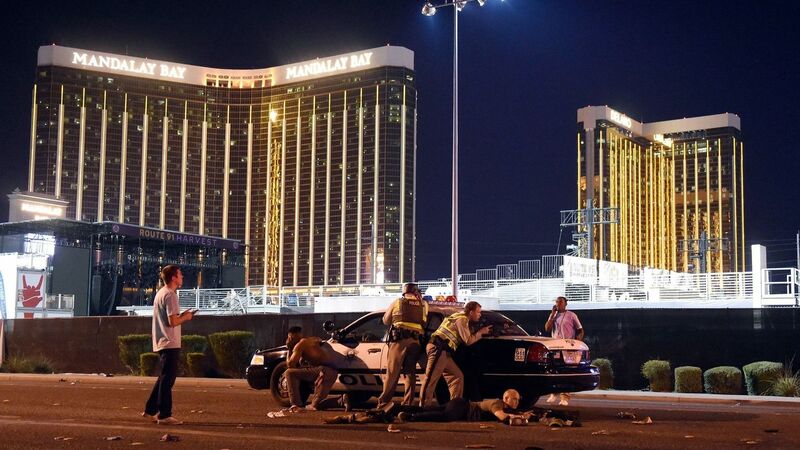 Many in the legal community are skeptical of MGM’s argument, noting that the Safety Act had never been tested and that DoS had not designated Paddock’s rampage an act of terrorism. On October 3, a panel of federal judges said they found no reason to grant MGM’s request to consolidate the litigation, making mediation the company’s best course to avoid litigation in multiple jurisdictions that could take years to resolve. But the company still believes its Safety Act defense will hold water. 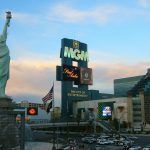 While we continue to believe ultimately courts would find in MGM’s favor, we hope that entering into mediation will allow the parties to work together toward a fair and timely resolution,” MGM spokeswoman Debra DeShong said in a statement. “Years of protracted litigation is in no one’s best interest. We look forward to continuing discussions and hope for a positive resolution so the victims, first responders and the entire community can look forward to the future and continue on the path toward healing,” she added. MGM should pay for all medical, funeral and pain and suffering to everyone who was at the event. They already upped their room rates plus extra fees for pool gym and other so called extra’s. I’m sure they have insurance that will pay for most of the lawsuits.